There’s nothing quite like a good slow-cooker meal to help you get dinner on the table on a busy weeknight. This quinoa casserole is the perfect recipe when you’re in the mood for Mexican food and need a healthy slow-cooker meal. Give it a try and share the recipe with friends and family on Facebook, Pinterest, Instagram, and Twitter. For this slow-cooker meal, you’ll need: tricolor quinoa (uncooked), about 1½ cups grated Cabot Pepper Jack, 1 cup frozen pepper blend, 1 tablespoon chopped fresh cilantro, 1 teaspoon each of cumin, chili powder, salt, and lime juice, as well as &frac23; cup salsa verde (a green hot sauce with a base that typically consists of pureed cooked or raw tomatillos, jalapeños or other chili peppers, white onion, and cilantro. Lime is sometimes added to taste). Chopped cilantro, Greek Yogurt, and guacamole are additional optional garnishes. 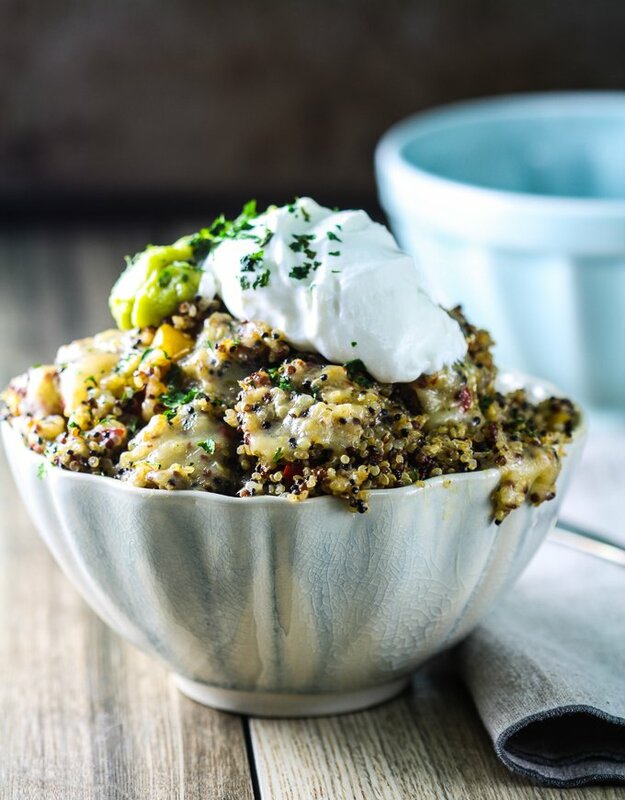 Combine all ingredients except the cheese in a slow cooker and cook on the high setting for 3 hours, or until liquid is absorbed and quinoa is tender. Top with cheese and let stand until melted. Garnish as desired and enjoy. Want another tasty casserole dish? Check out our Cheesy Broccoli and Rice Casserole. Did you know that Cabot is a cooperative of over 800 farm families, bringing many years of experience to making only the best products for you and your family? We only provide you with our best recipes, so you’re sure to love what you make. We’d love to hear your feedback on this Slow-Cooker Mexican Quinoa Casserole recipe, so please rate and review it once you’ve tried it! COMBINE all ingredients from water through lime juice in a slow cooker. Cook on HIGH about 3 hours or until liquid is absorbed and quinoa is tender. Top with cheese and let stand until melted. Garnish as desired. Recipe courtesy of Regan Jones. Big hit at our Cinco de Mayo pot luck! Great flavor and so easy. 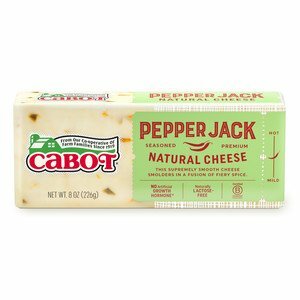 Pepper Jack adds just the right amount of zing. A keeper for sure.